March 31, 2015 by Ecommerce News. 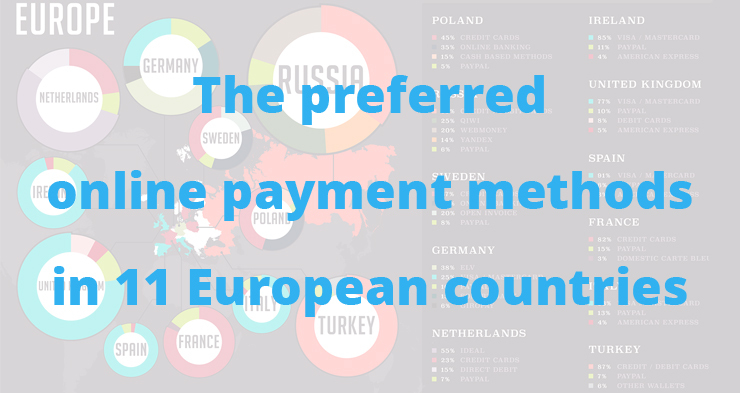 About Payments with tags Europe. 30775 views. Every country has its own way of paying online. Of course, credit cards and PayPal are popular payment methods in many parts around the world. 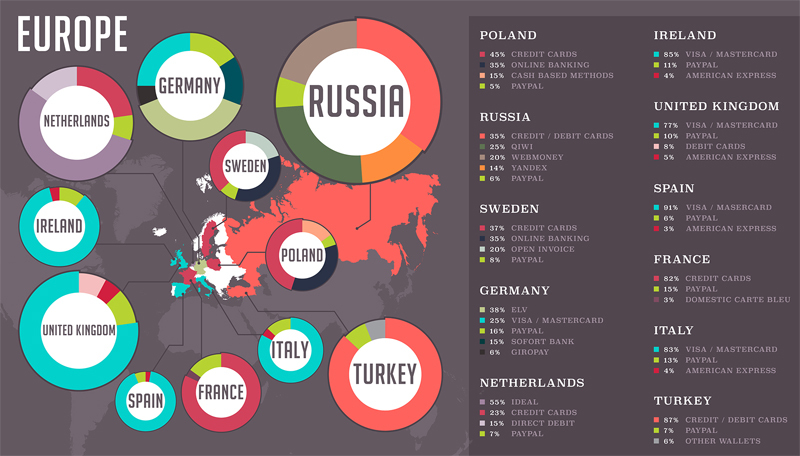 But do you know which online payment method Germans prefer? Or what’s more popular than credit cards and direct debit in the Netherlands? This infographic shows you. The infographic was made by Expert Market, a B2B Marketplace which helps companies find the best suppliers. It shows the breakdown on how different countries pay for goods and services online. 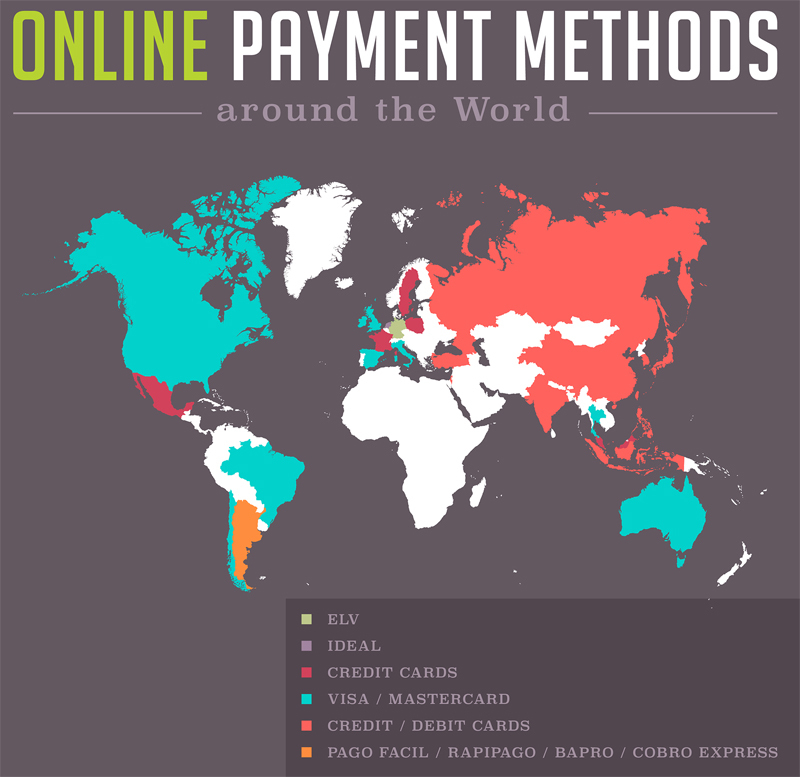 The different online payment methods of 29 countries around the world are displayed in this infographic that consists of various maps. The data has been compiled by payment company Adyen. The world map shows how the world looks dominated by Visa/Mastercard and credit or debit cards. These are of course popular payment methods. But when we look at the map of Europe, it becomes clear there’s much more diversity than you might think initially. In Europe, credit cards are still popular. For example, in Italy Visa or Mastercard are the preferred online payment method with 83%, much more than PayPal (13%) or American Express (4%). In Spain these cards are even more popular, as 91% prefer paying with Visa or Mastercard. But in Poland, the dominance of credit cards is much lower, as it’s the preferred online payment method for 45% of online shoppers. Online banking is a second best with 35%, followed by cash based methods (15%) and PayPal (5%). But in Germany, the most preferred online payment method (38%) is ELV (short for Elektronisches Lastschriftverfahren), an electronic direct debit payment method that’s supported by banks in Germany. In the Netherlands a similar method is the absolute number one. iDeal, also a payment method that’s supported by the majority of local banks, is the preferred payment method for 55% of online shoppers. Turkey is the country where credit and debit cards are very popular (87%), but Visa and Mastercard are nowhere to be seen. PayPal is the second most popular payment method (7%), followed by other wallets (6%). In Russia, not only credit and debit cards are popular, but also Qiwi, a method that lets Russians pay electronically without having to transmit sensitive bank account or credit card numbers over the Internet. Russians also like to pay with Webmoney and Yandex.Money.